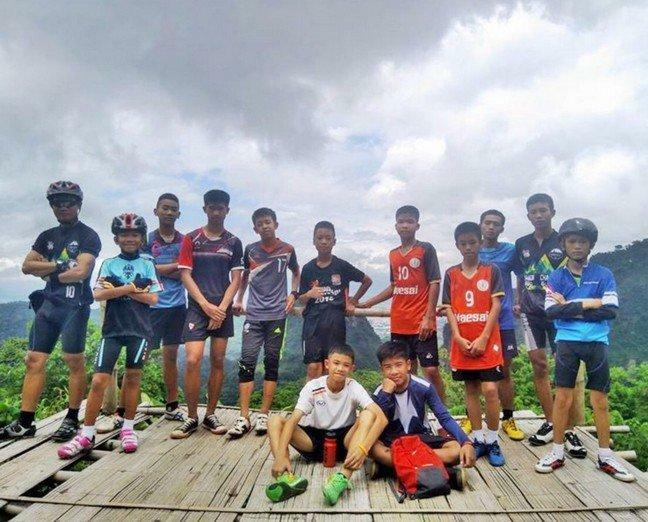 A collective sense of jubilation in Chiang Rai and all over Thailand welcomed the news that all 12 boys and their football coach have been successfully and safely rescued from the Tham Luang cave. Thais in the northern city of Chiang Rai who have been closely monitoring the latest rescue developments honked their car horns and took live “selfie” videos upon learning that the last batch of boys including their coach has been brought out of the cave where they were trapped for two weeks. The dramatic rescue watched by the entire world marks the end of a more than two-week tense ordeal which started when the “Wild Boars” team and their coach were trapped inside the then flooded Thai cave located on the border with Myanmar on June 23. Thailand’s elite Navy SEAL unit led the rescue operations, and many countries including the U.S.readily gave their support to mount the huge effort to get the boys back to safety. Thais have followed the developments to the story of the trapped boys with such fervent interest and emotional investment. When news of the happiest development of the rescue’s successful completion broke out, the Thais next turned to social media to express their joy, relief and gratitude for the narrative’s fitting end. Some wrote, “You are our heroes!” while captioning cartoons showing the boys, their coach and rescue workers, military personnel, and volunteers who all helped the giant effort to save the team. Prime Minister Prayuth Chan-ocha said he would host a celebration for all of those who contributed in the multinational rescue effort. Those overseas who were glued to the story as well extended their appreciation and cheers as well for the boys’ rescue.